Asset Carol located at Puthenangady, also known as Angady, Kottayam. 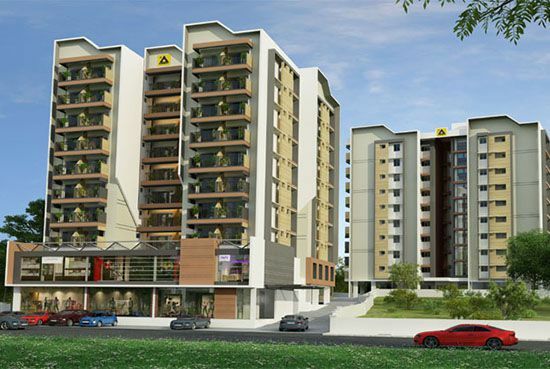 The tower which consists around 9 floors excluding ground along with 3BHK as well as 4BHK apartments. And the tower also possesses 1045 sqft to 1763 sqft expanse too. The project offers the best cultural, economic, political and natural surroundings. ASSET CAROL unfolds a host of amenities that includes multi- recreational club, health club, swimming pool, children's play area, landscaped garden and many eco-friendly features like rainwater harvesting, water restrictors, etc. Safety features include 24-hour security, disabled-friendly access, and camera surveillance at entrance lobby and common areas. Let life dazzle with the touch of superlative.